Last year my friend's parents took his younger brother and headed to California, to the very famous Disneyland. The kid was, surely, very lucky - one can only dream of getting to the world of favorite animation at the age of 8. But what to do if you have alredy been to the world of Walt Disney? 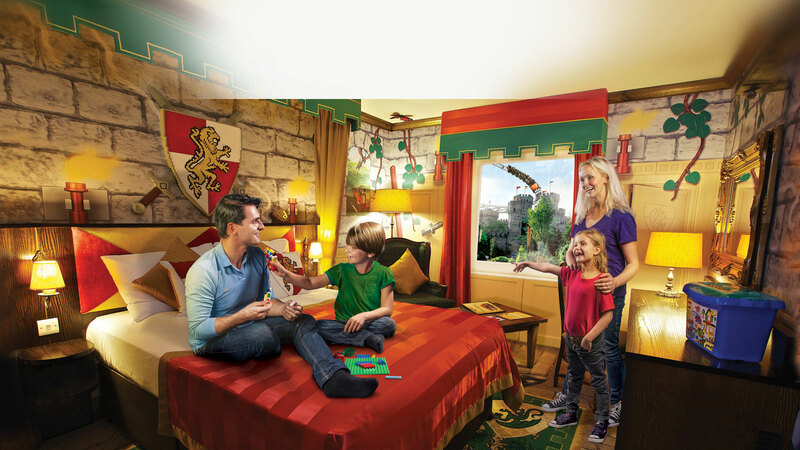 One of the alternatives is world famous Europa-Park. Situated in Southwestern Germany, this city of attractions and entertainment reflects the whole continent. The park's territory is divided into 15 themed areas with geographical reference. Missed Russia? Go there and you'll enjoy a true Russian village, Mir Space Station and Babushka (Russian for Nana) shop. Tired of that? Greek wonder-attraction Poseidon, Scandinavian float boats, German antique cars and many other things await you. 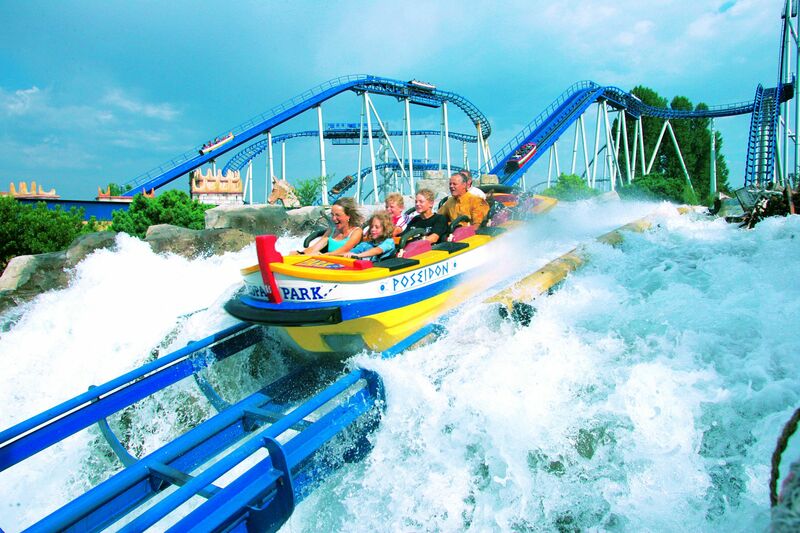 By the way, it is Europa-Park that is home to the Old World's fastest roller coasters. Those who love adrenaline buzz can have a ride at a speed of some 130 km/h and experience most significan acceleration. British parks cannot boast of the same scale. However, they succeed in quality instead of size. Graphic example is Flamingo Park. Merely half a century ago it was believed to be a small provincial zoo. But go-ahead Brits decided to make number of visitor increase by adding several attrctions to animals. The ball started rolling, more and more carousels and machines emerged and, together with unique flamingos, rhinoceros and pinguins, have made a prospering territory out of a once third-rate animal park. Let us add that it is Flamingo Land where Cliff Hanger attraction operates. If you dare enter the cubicle, be ready for an adrenaline burst: free fall from as high as 55 meters is expecting you. It isn't just Disneyland that Americans have invented, but also an amazing place called Universal Studios Park. Dinosaurs from Spielberg's movies, recreated scenes from favourite blockbusters, extreme attractions (if you like "Jaws", you can't find a better place) - not only you can see all of these there but also become a participant of events, almost get into a shot. According to analysts, modern boys and girls just as their moms and dads opt for this park, prefering it to the world of Mickie Mouse's creator, with increasing frequency. 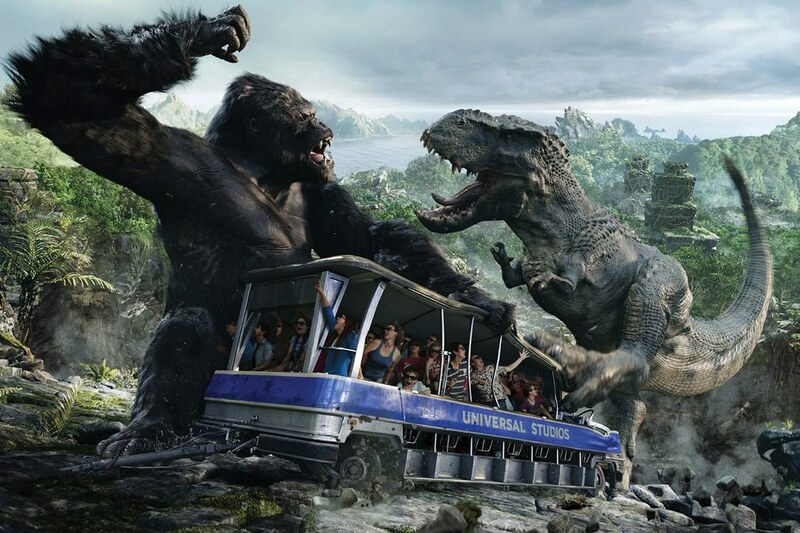 And while the latter one may remain ahead in terms of attendance, the trend suggests that Universal Studios will become market leaders soon. And it comes as no surprise because San Francisco Amity area alone with its disaster simulators where every willing one can experience for himself all the "beauties" of tsunami, typhoons and earthquakes is worth paying a pretty penny for a weekend at this place of all others. Some people want movie characters "served", others prefer rollercoaster loops, but I prefer aquaparks, don't know why - maybe, because my Zodiac sign is Pisces. Anyway, I must go to Japan, to Kyushu Island because Seagaia is there. It was listed on Guinness World Records as world's largest indoor waterpark and introduced a new trend into construction of such attractions. For instance, retractable roof technology that allows enjoy crazy watercoasters, artificial tsunami and relax procedures is currently applied all over the world. 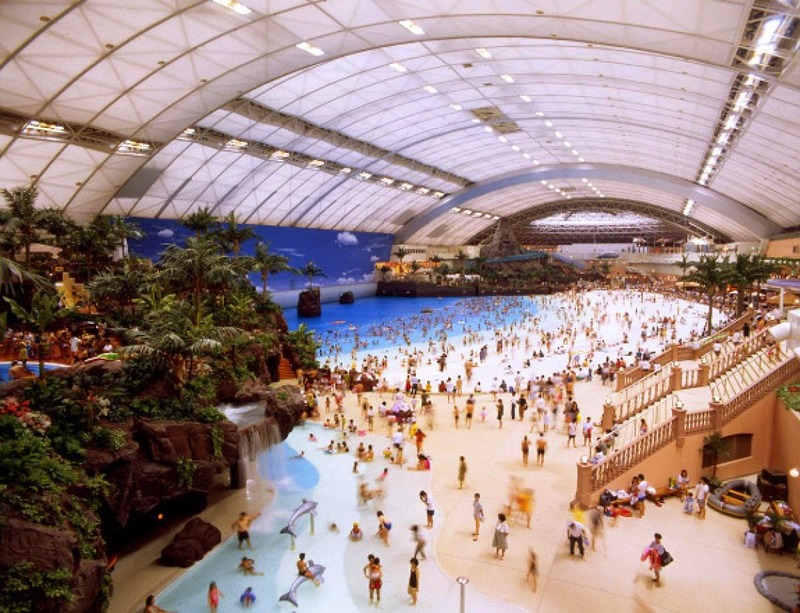 Even in my native Donetsk a modern aquapark was recently opened, it has roof in winter and doesn't have one in summer. The word is, it were the Japanese that the idea came from. 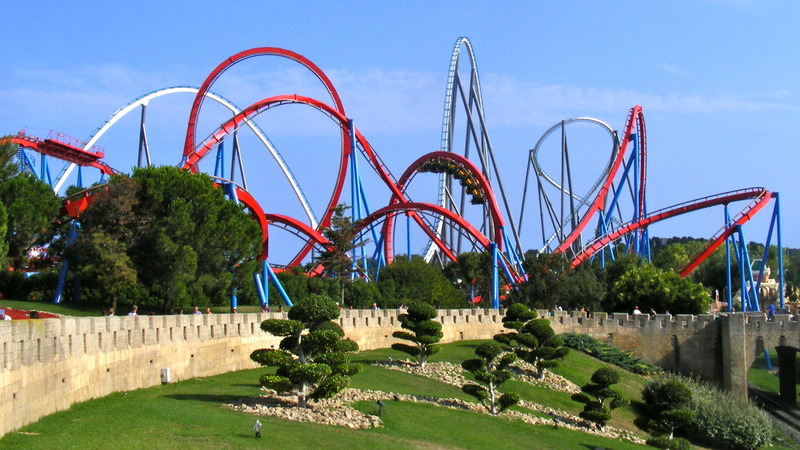 Spanish Port Aventura is a real "adrenaline buzz factory" because Dragon Khan attraction operates there. Eight literally head-spinning whorls at the speed of over 100 kilometers per hour is exactly the thing why 3 million people come there annually. While parents "get their hearts trained", their kids have fun in Sesame Land, where there are own carousels, even for three-year-olds. Among Asian themed locations Chinese dinosaur park occupies a special place. It is situated in an hour-long ride from the ciy of Jiayin. Almost 3 thousand sculptures of gigantic reptiles made of real bones can't but impress. Modern hi-tech museum situated in the terrotory of the park will conclusively transfer you to Jurassic period. There is only one thing that visitors of the place recommend : take as many memory cards as you can because you'll have to be taking lots of pictures. Let us conclude our selection with something that would allow some nostalgie... I couldn't possibly leave out in the cold the park I was dreaming about 15 years ago. It is Danish famous Legoland. It was opened as far back as in 1968 in a small city of Billund, it entirely consists of legendary bricks. According to approximate estimations, there are 50 million piece of the construction material: from smallest bricks to huge blocks. All in all there are 8 themed areas there where one can enjoy small copies not only of famous objects like Big Ben and Eiffel Tower, but whole cities and countries. Also, cinemas with high-end many-D-effects are at your service as well as robots that can be programmed to execute simplest operations (sit down - stand up - approach ), attractions and, sure enough, piles of fovourite bricks.